The Industrial Cast Iron and Steel Adjustable Tractor Stool brings a warehouse-chic feel to your home. 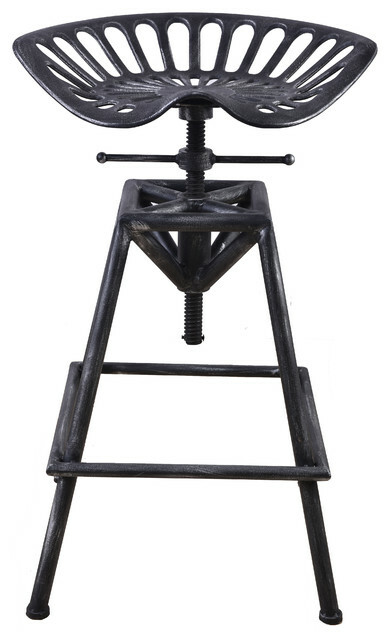 Its repurposed, adjustable tractor seat is made of heavy cast iron with a twist bar and is supported by sturdy steel legs. It has been given a handcrafted, distressed finish for a more authentic, industrial look. The pieces created by Brikk blend high-quality materials with a weathered and rugged look by using a mixture of new, reclaimed and raw materials. Seat height: 25" to 34"